In my post about Running Android on PC, i have explained there about installing and running the Android OS on PC. Here i present you the details about the installation of .apk files on Android SDK/Emulator. Read carefully the below steps. Before trying this see how to install android sdk on pc.Here Iam showing the installation of eBuddy.apk using Android 2.2 os, This method works well with all version of android. 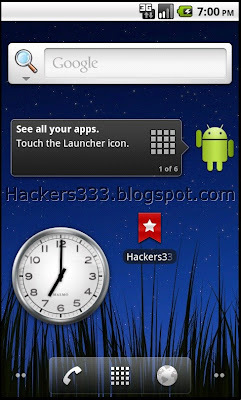 Start the Android Emulator first and wait till the android os gets booted and till you see the home screen. 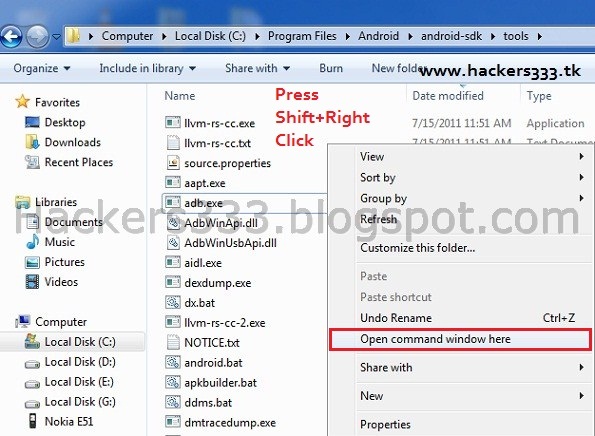 Press the Shift key and right-click, and then select Open Command Window Here. Enter the Following Commands in the command prompt. Change the app_name.apk to the name of the app which you are installing. Wait for 5-10 second till the app gets installed. To run the app open the app from android menu. Here is the screen shot of the eBuddy which i have installed, use the same procedure for any other app. Any problem in installing your app then ask me via comments. U must also check nokia X2-01 which is similar to the C2-01.